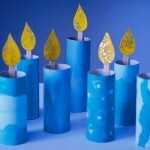 • Lay the white construction paper flat and lightly spread glue down each of the long sides of the paper. • Stick the paper towel tube on one side and roll it to the other. Smooth it out. • Fold the paper inside the tube at both ends. • With a black marker, make lines on your pole to resemble the birch tree. 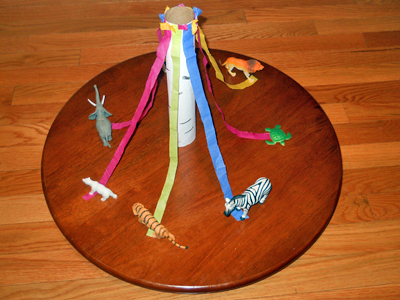 • Cut some streamers in half the long way and glue around the inside of the top of the tube. • Take a small square of tissue paper and crumple it on the end of a pencil. 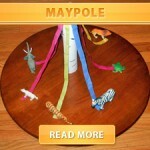 • Put a dab of the glue on the end and press it to the top of your maypole. 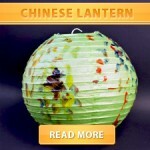 • Repeat this process with various colors until you have a ring of flowers around the top. • Bend wire in half. • Dip the ends of wire into the tacky glue. 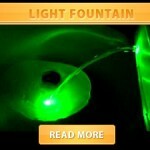 • Push wire ends into the egg, forming ¼” long hanger loop. • Cut gift wrap into ½” squares. • Apply an even coat of Mod Podge to egg in desired position. • Press gift wrap square into glue. • Brush top of gift wrap with Mod Podge . • Repeat to apply additional gift wrap squares to egg, overlapping squares to completely cover egg. Let dry. 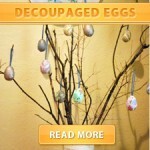 • Brush entire surface of egg with 1 or 2 coats of the Mod Podge . Let dry. • Thread ribbon through hanger loop. • Knot ribbon ends together to hang egg. 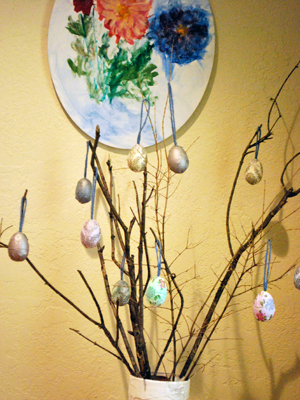 • Display your Easter Tree. Scrapbooking is a wonderful way to preserve photos and other memorabilia while at the same time creating a book of memories that is uniquely yours. Scrapbooks can be simple or quite ornate, depending on the artist, but no matter the style, one thing remains true: it’s all about you. Introducing kids to scrapbooking provides opportunities for parents or other caregivers to help children express themselves creatively. • Album – a basic album is required and for kids, larger is better. • Scissors – regular ones are necessary and it is nice to have a few specialty craft pairs that cut in creative patterns. • Adhesive – you’ll need an adhesive of some type; glue sticks work best for young kids while older ones can usually handle other types without making too much of a mess. • Paper – you can start with a small assortment of colored and textured paper, but be sure that it is acid-free. • Pens – an assortment of colors is nice, but one black pen will do. • Photos – the most important element. Gather some favorite photos and get ready to make some memories! Rather than merely assembling a variety of miscellaneous photos into a book, try to come up with a theme, which will give the book some consistency. Vacations, summer fun, school days, best friends, or family are all good themes for kids’ scrapbooks. While it’s fine to offer suggestions, allow your child to decide on the theme. • Gather supplies and decide on photos for one page. If you are working with young children, you may want to protect the tabletop before beginning. 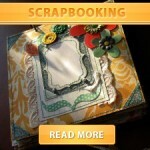 • Keep Scrapbooking for kids fun and relaxed. Let go of the idea that all pages need to be perfect. For children, it’s all about the process and working with the materials, not the product or end result. • Designate certain materials for your kids to use when scrapbooking. • Scrapbooking for children should be age appropriate. This applies specifically to scrapbooking tools. Your child may be old enough to use scissors, but some of the specially-designed cutting systems for scrapbooking can be too dangerous for young children. Carefully explain the safety precautions. 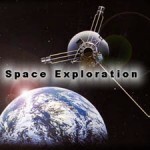 • Have photos that interest your children available for scrapbooking. 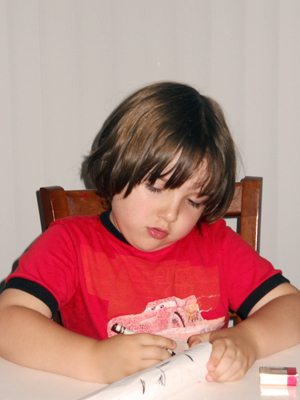 Scrapbooking for kids is more fun when they are working with photos that include them. Does your daughter love stuffed animals? Let her do a whole album with pictures of her stuffed animal collection. 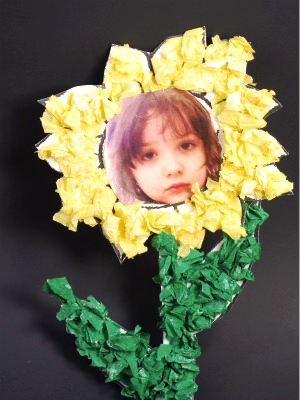 • Use duplicate photos when scrapbooking with children. Then, let them use the photograph any way they wish. You still have an original for your scrapbooks. • Crop the photos. This simply means cutting the photo to include only the area that you want to use. You can crop pictures in traditional squares or rectangles, or you can trim them into heart, star, or other shapes to make them stand out on the page. • Matting is optional, and young children often prefer to skip this step. For older kids, however, placing a colored mat on the page behind each picture helps to highlight the photos and gives the page a more finished look. Mats are often cut with specialty scissors that leave a fancy edge. • Scrapbooking for children should always include journaling. Journaling simply means to write a bit about what is in the photo. This can be as simple as a short caption or can be a detailed story. Have your children use their own handwriting. Encourage kids to express themselves in the journaling step since this is part of what preserves the memories. You may need to give your children journaling prompts, but for most children, let them express their own thoughts and feelings on the page layout. • Mounting is pasting the mats and photos to the page. Show kids several ways to position the pictures on the page to allow room for the captions while making the page visually appealing. • Embellishments are what really make scrapbook pages different than regular photo albums. Stickers and punch-art help to make the page come to life. • Teach your children scrapbooking techniques. Again, consider the ages and artistic abilities of your kids. Simple scrapbooking techniques like paper tearing and matting are easy for most children to learn. 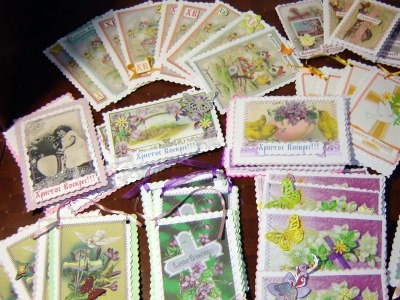 Older children might enjoy rubber stamping or embossing on their page layouts. When working with kids, it can be tempting to help them too much. Sure, their pages will probably not have a polished, professional look, but the important thing is that they have fun creating them. Lend assistance only if you are asked for it and keep in mind that you are building memories right now, too! • Print out the template. •Cut out the template pieces. • Glue the flower and leaves onto the stem. You can glue both onto a piece of white paper if that makes it easier to hang up later. 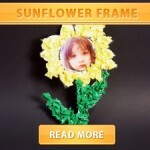 • Glue picture into center of the sunflower. • Glue balled up pieces of yellow tissue paper onto the petals. 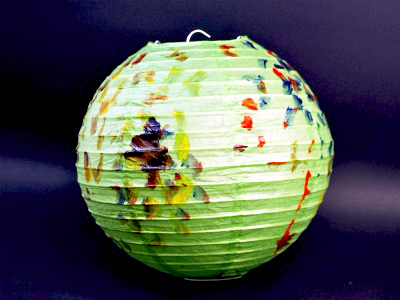 • Glue balled up pieces of green tissue paper onto the leaves.